Awesome tips! Would love a link to your cute hoodie. This is soo helpful. I transitioned to working from home full time at the beginning of this year, and I’m nowhere near as productive as I was when I had an office to go to. I’m definitely going to try some of these tips! Question though… when you work from a coffee shop, especially on a day like the one you shared where you’re going to a coffee shop a couple different times, do you end up buying a coffee or snack every time? I feel so guilty sitting at a coffee shop for a few hours and not buying anything! i do. i almost always go to small businesses so I’m happy to support them and put money in their pockets, even if i’m not finishing my coffee since i just had one somewhere else. i just think of it like this – i work hard to get people to come to my site and i hope people do. coffee shops do the same thing of providing a comfortable space and a great product, so i support them like i hope others do for me! Great post! I sometimes work from home and this will really help me! Great advice, especially as I’m about to launch my own business from home! Although sadly, a lot of times I schedule my day and then I want to rebel from what I’ve scheduled lol!!! But I’ll keep trying. Also – pizza fries??? Yum!! Can’t wait for that recipe! Thank you for answering my question Juli! This is super helpful! glad i could help Darcy! PIZZA FRIES!!!!! Cant wait! Thanks for sharing your work from home tips I have been working from home for 10 years. It takes getting used to. I agree on getting out of the house to work somewhere else or to break up the day. 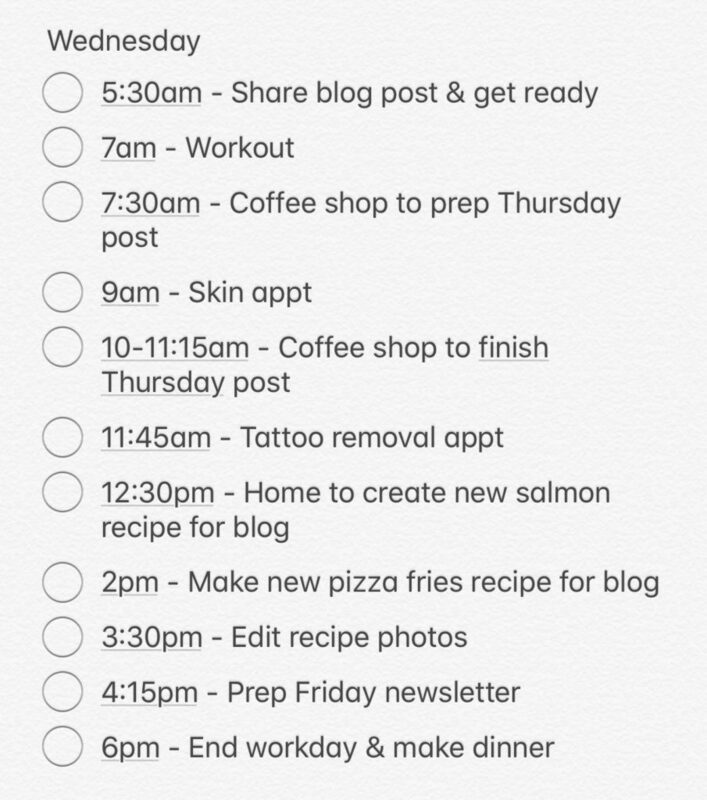 I’m more than likely transitioning to WFH full time in a few months and this has always been my biggest fear- planning out the day to stay on track. In an office, there’s minimal distractions (unless the office gossip is FIRE that week) so WFH where the distractions are endless, this is so helpful! Thanks for sharing and I can’t wait to be the creator of my own schedule! glad i could help Emily! Sounds like a great day! AND please share where you got those slip on shoes you’re wearing in the last photo! Adorable! I worked from home for 5 years. 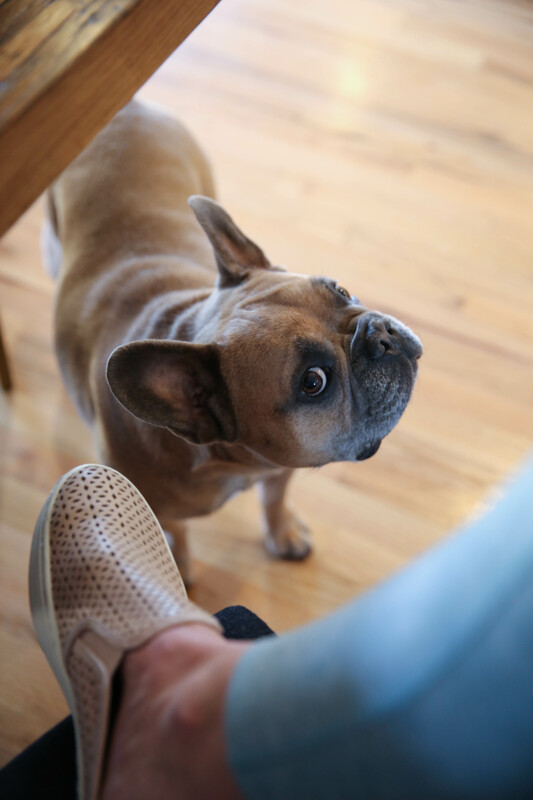 I loved it and still try to get one day in at home once a week – no coworkers to distract! My dog is definitely my biggest distraction. Jackson is so beautiful – he’d distract the heck out o’me! Juli do you really only work out 30 mins a day most days? I’m used to thinking about workouts as a long drawn out thing but you clearly have great results. Is it truly 30 mins x 7 days per week or? Thank you!! Thanks for this. I work at home twice a week right now and do very well… I still do laundry but it takes me minutes. 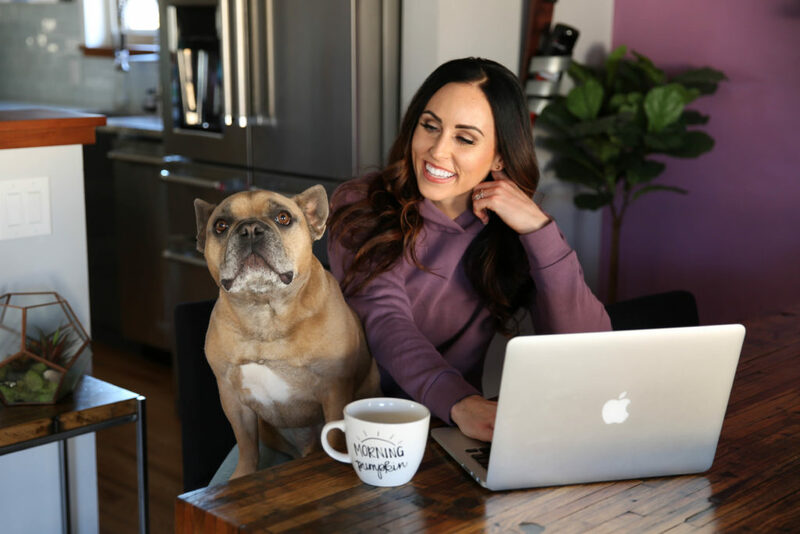 I soon hope to transition to full time working from home as health coach so these tips are super helpful. I try to keep a blog with with two kids, a full time job, a dog and a husband with long hours/unpredictable schedule, it’s a challenge!! I can see why, considering how long you work on your posts.. which are awesome BTW.